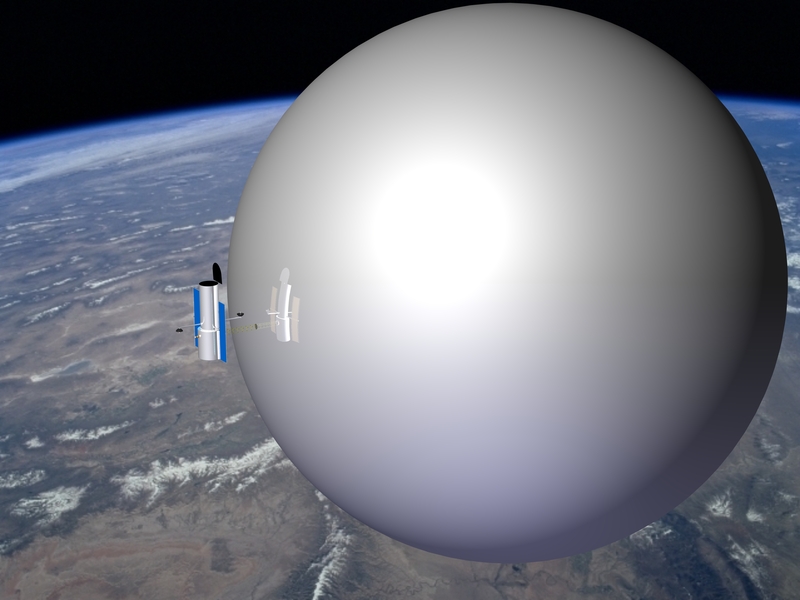 Under government funding, Global Aerospace Corporation has begun developing a LEO satellite de-orbit system that uses a lightweight, inflated envelope to increase the drag area that can increase natural orbit decay by orders of magnitude. 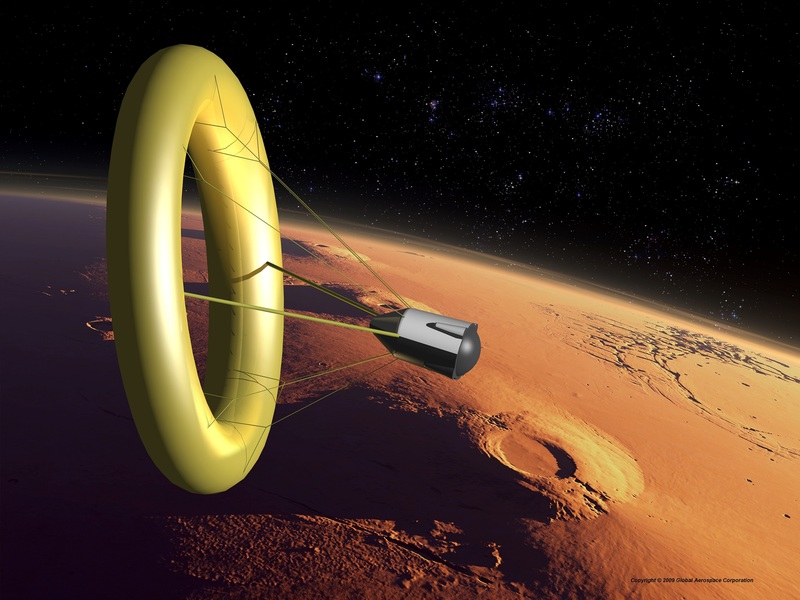 The Gossamer Orbit Lowering Device (GOLD) concept increases the cross-section area of a satellite to increase atmospheric drag, or momentum exchange with atmospheric molecules, that results in a reduction of satellite energy and subsequent orbit lowering. Key elements of this innovative new concept are an ultra lightweight, thin, large cross-section area inflatable envelope to reduce satellite ballistic coefficient by up to two orders of magnitude; controlled envelope deployment, inflation control and pressure maintenance; autonomous controller and power source; and envelope protection against UV and atomic oxygen (AO) environments. GOLD is applicable to de-orbit of NanoSats to large platforms in orbits ranging from LEO upto about 1,500 km altitude. Potential CONOPS include: 1) attached to satellites or upper stages before launch, 2) delivered to derelict satellites by orbital tenders, or 3) targeted & controlled reentry of large space platforms. GOLD has a lower probability of destroying operating satellites and creating new debris than bare spacecraft or other de-orbit ideas. 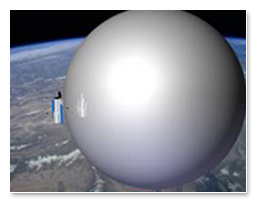 GAC, working with ILC Dover, is designing a Dual-Use Lifting Ballute for Mars orbit capture and entry. The controlled lift of the toroidal ballute enables reduction in decelerator mass, heating, and g-loads and provides trajectory flexibility. 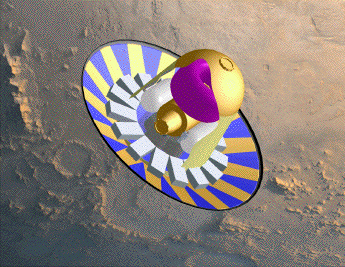 The ballute envelope inflation and pressure maintenance controls the envelope during exo-atmospheric mission phases. 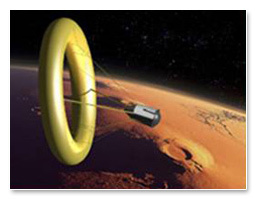 Applications of the dual-use ballute include NASA Exploration missions to Mars and possible return from the Moon and other interplanetary destinations, NASA Robotic Space Science missions to all planets and moons that have atmospheres, and reentry of defense and commercial vehicles from Earth orbit. Under NASA funding of a Mars transportation architecture, GAC has designed a Mars Shuttle (top-right) and Taxi (bottom-right). The Mars Shuttle transports a crew of 10 to and from the Martian surface base and the Mars Spaceport near Phobos. The Mars Shuttle supports crew needs during the very short transit (~3 hours) between the Mars Base and the Mars Spaceport. 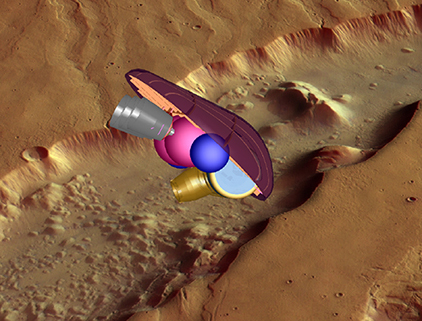 In addition, the Mars Shuttle carries out delta-V maneuvers, performs aero-entry and landing maneuvers within the Martian atmosphere, navigates autonomously during all maneuvers, provides electrical power to its subsystems and carries RRU cargo from the Mars Spaceport to the Mars Base. The Mars Shuttle is designed to travel only between the Mars surface and the Mars Spaceport at Phobos. The Taxi ferries crews between the Mars and Earth Spaceports and the Astrotel that transports crews between Earth and Mars. The nominal Taxi system aeroshell design is an elliptical raked cone. 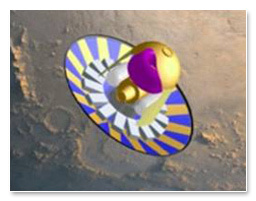 Taxis utilize LOX/LH propulsion to escape planets and place them and their crew onto hyperbolic rendezvous trajectories with the interplanetary orbiting Astrotels.